We are the top rated dumpster rental company in the area on Google! Dumpster for all types of projects ! Residential Safe Dumpsters ! Residential safe dumpsters built to fit in your driveway! 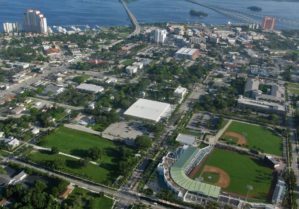 Residential Dumpster Rental Fort Myers! Family owned and operated! No Hidden fees! Dependable and Professional! 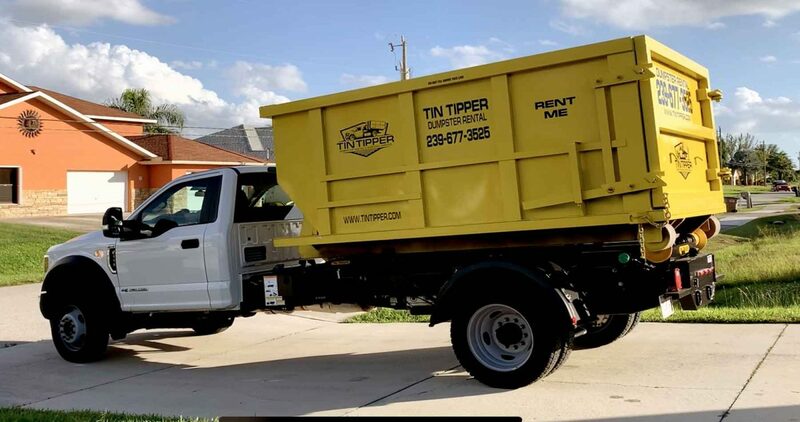 Tin Tipper dumpster rental is a Cape Coral and Fort Myers area residential safe and appropriately sized debris bin service to remove just about any kind of item from your home or business. You simply call Tin Tipper and we drop off one of our various dumpster sizes from 11 cubic yard, 15 cubic yard, or 20 cubic yard to your driveway. Our Dumpsters take up the size of a large van in your driveway. You fill the Tin Tipper dumpster on your own timetable, and we pick it up to 10 days later, need it longer ? Let us know. Our dumpsters can handle large items like furniture and appliances, all kinds of trash and construction debris from real estate cleanouts to kitchen and bathroom remodelings, or storefront / commercial buildouts. Pretty much everything and anything (except hazardous waste) can be handled by the Tin Tipper Dumpster. 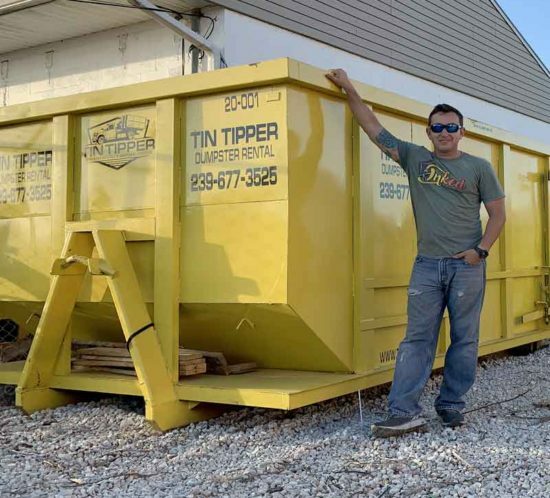 Tin Tipper Dumpsters are reasonably sized, driveway-friendly and safe bin that comes with the great customer service you expect from locally owned and operated Tin Tipper! Our dumpster rental containers are perfect for homeowners, renters, small businesses, and anyone else who wants a simple self-service dumpster solution. You fill it / We haul it! We can also provide a full service junk / haul away removal service. 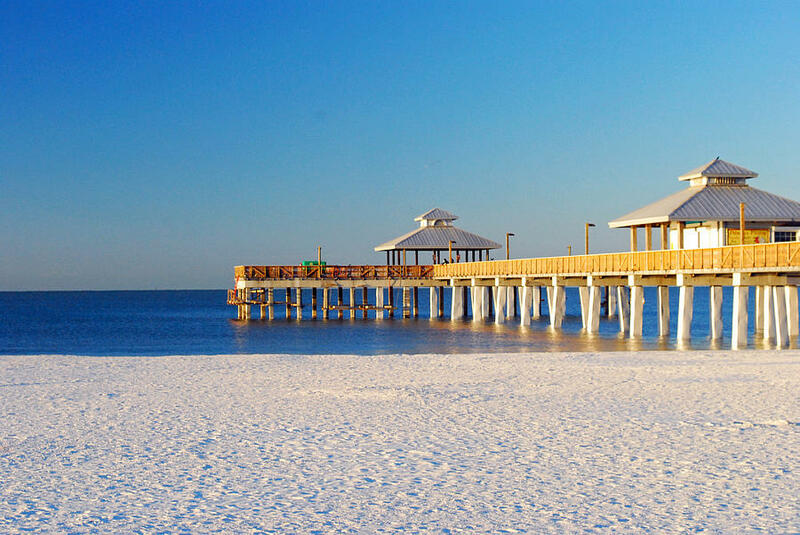 Give Tin Tipper a call at 239-677-3525. TIN TIPPER Dumpster Rental understands your home is one of your prized possession, we intend to treat it as if it were our own. 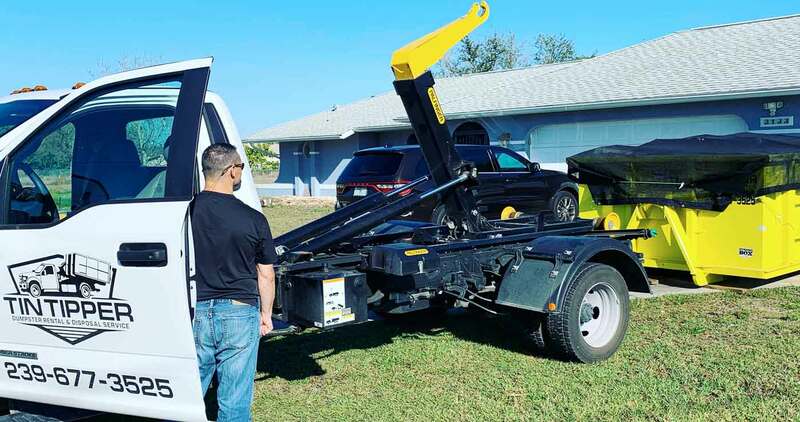 With our state of the art trucks and our attention to detail, you can rest assured that your driveway will be free of damage and left in the same state it was found prior to our arrival. 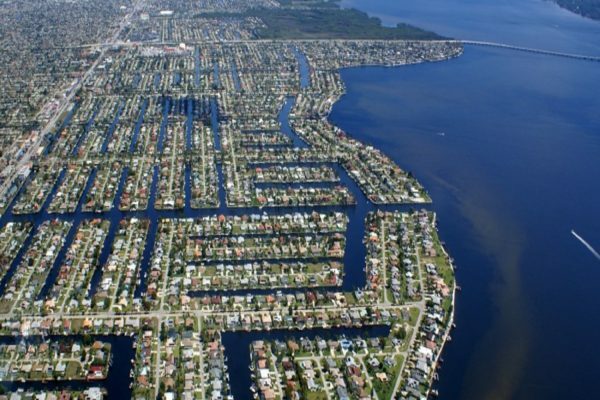 Tin Tipper operates from Cape Coral Florida and specializes in residential safe Dumpster Rental, Waste & Junk removal & disposal! 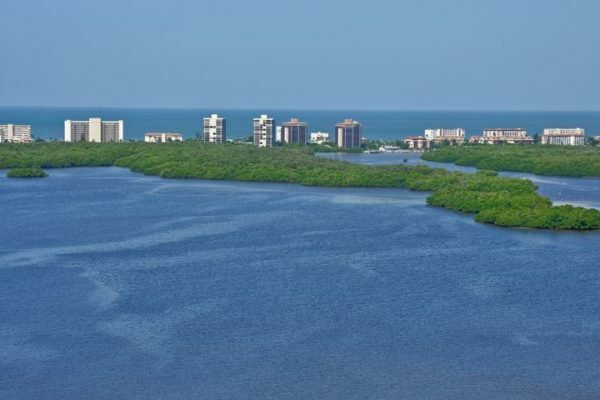 With our current local water crisis, we have deemed it necessary that all of our operations be as eco friendly as possible. We do this by recycling as much as possible out of our dumpster. 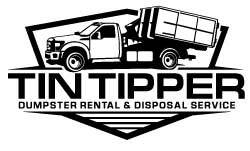 Tin Tipper : Dumpster rental operates out of new fleet vehicles to reduce emission, this also keeps your driveway clear of oil. We know you care about our environment, we do too ! 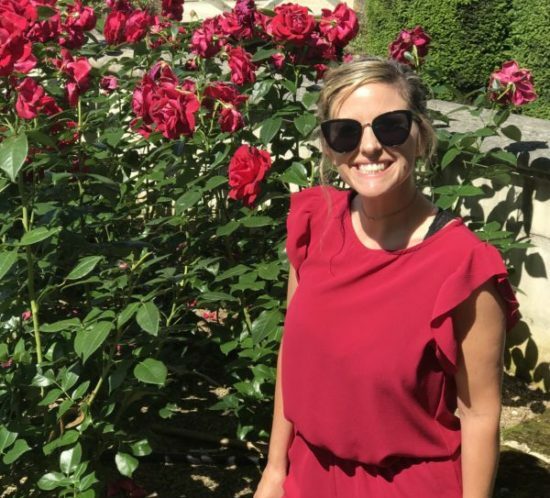 We have partnered with Be The Light Outreach an organization fighting against human trafficking, they have provided undeniable benefits and help throughout our community. It is now time for us to give back to those who selflessly help others. 10% of every rental will be donated on our customers behalf to our fight against human trafficking. 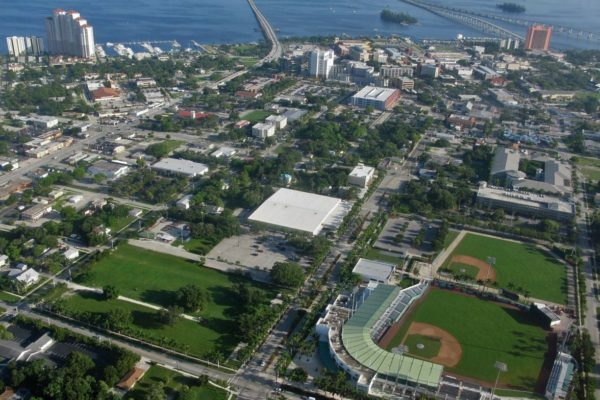 Our Dumpster Rental in Fort Myers, FL - YouTube Channel! See our dumpster rental trucks in action! Our Fleet is comprised of NEW vehicles and bins / dumpster to ensure your driveway looks just like when we got there! 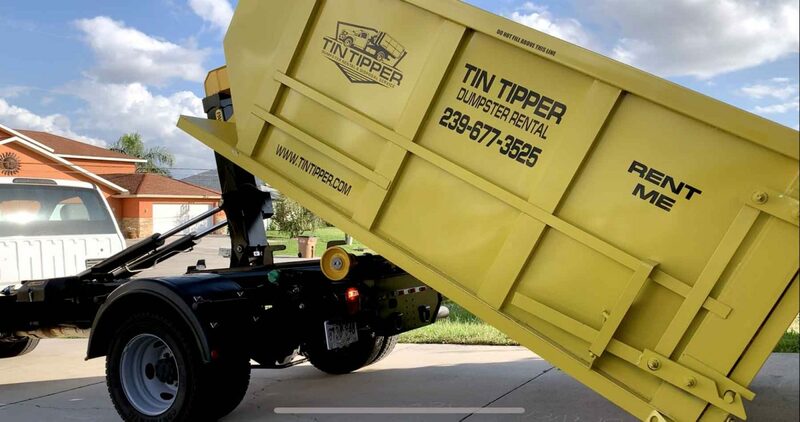 Let Tin Tipper handle your next Dumpster Rental needs in Cape Coral, Fort Myers, Punta Gorda, Bonita Springs, Sanibel, and everywhere in between! 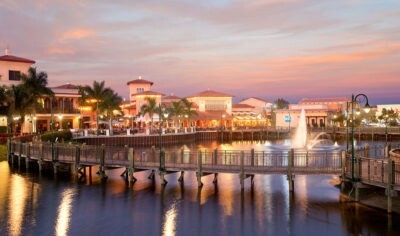 EASY DUMPSTER RENTAL in Cape Coral, FL ! With Tin Tipper of Cape Coral, dumpster rental is as easy as ordering takeout! – and really just as quick too! The first step is to let us know what you’re going to be loading into the container, what size dumpster you may need for your project, when you estimate to need the bin by, and how long your going to need it for – Voila, that’s it, your done!!! Dumpster sizing isn't a confusing mathematical volume formula! Whether you’ve got a small garage clean out or abig remodeling project, we here at Tin Tipper can help and we've got you covered with the right size for your next project – Best of all, we also have the right price. We’ve clearly made our pricing options so you never have to be blind sided by costly hidden fees. Just keep us informed if your original plans change- and if the type of debris going into the container changes- and we’ll make sure to give you accurate information and keep everyone on the same page. 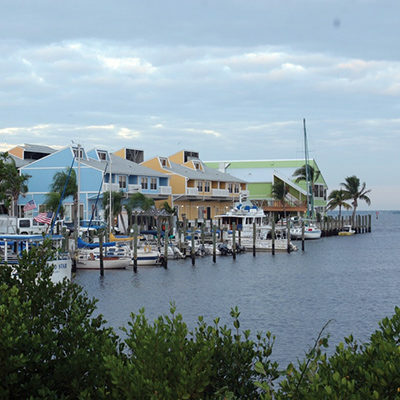 Our rental length are planned with your convenience and consideration in mind. Whether you already have everything piled for a quick 30 minute fill-up, or you’re in the beginning stages on an extended renovation- we’re going to make this project as easy as possible. We know that some things don't work out according to plans or schedule. If you need a dumpster rental extension, just give Tin Tipper a call and we will gladly help you figured out a plan. Our locally owned and operated dumpster rental company provides affordable, dependable, and professional service to the citizens of Lee and Charlotte counties. Our array of Dumpster rental packages helps fit your individual needs. 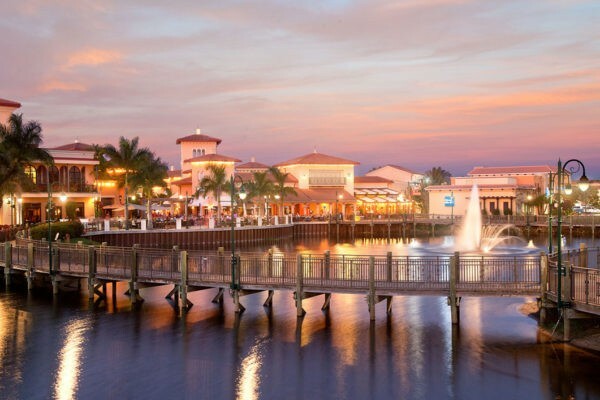 Give us a call today, we can definitely help with your dumpster needs in Cape Coral, Fort Myers, Pine Island, Sanibel, Punta Gorda, Port Charlotte, Lehigh Acres, Estero, Captiva, and other surrounding areas. 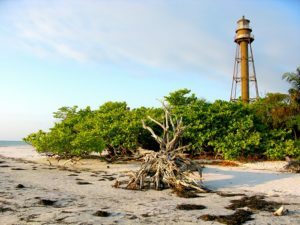 Are you moving in the Cape Coral / Fort Myers region and need to get rid of some junk? Maybe you have a pile that needs to go around your home or office. Is it time for you to get that renovation project or construction clean up completed. TIN TIPPER is here to provide junk and rubbish removal dumpsters / containers sizes 11 to 20 cubic yards. No matter how big or little the pile you have to get rid of, we have a bin, container, or dumpster for you. 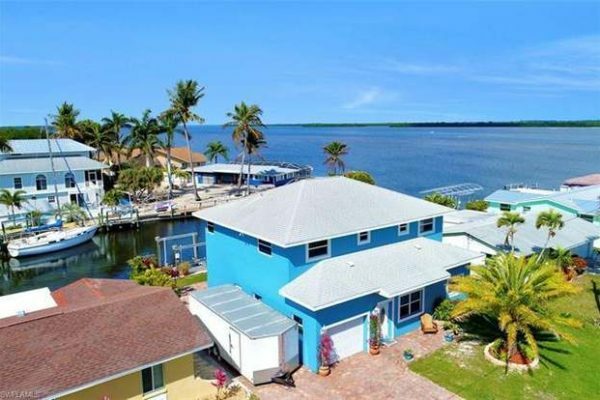 Full service ( Cape Coral ) debris hauling, junk removal, furniture removal, ...Need help getting rid of your junk! We can do that too, call us today with your next project needs! 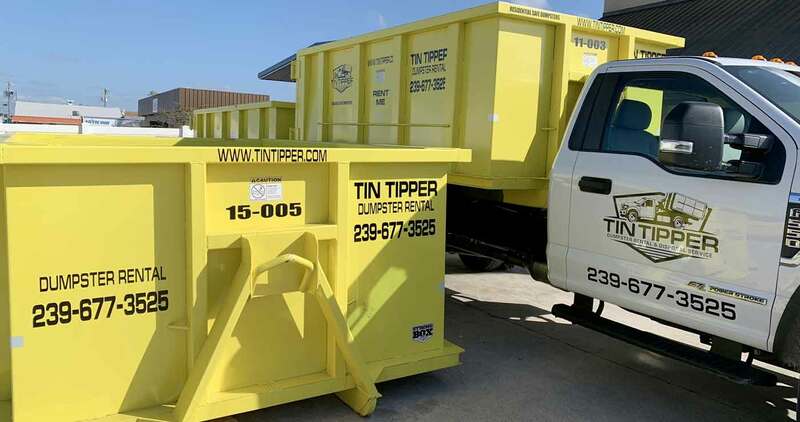 Tin Tipper offers 3 different sizes of dumpsters for rent in Fort Myers, Fl, which is all based on your project need. 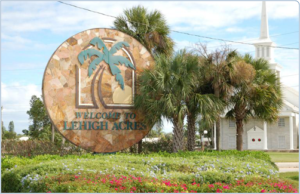 Commercial or Residential, we can handle it! 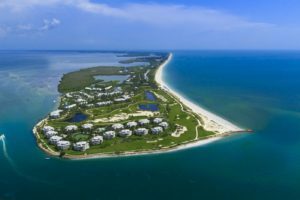 This husband and wife team has a long history in the Cape Coral / Fort Myers area with strong professional ties to Lee county. Our goal is to facilitate your next project. Regardless of whether you are a homeowner renting a roll off dumpster for the first time or a building contractor who uses multiple dumpsters every month, we make the same promise to you – we’ll deliver your dumpster on time, pick it up promptly upon request, and do it all at the best dumpster prices. 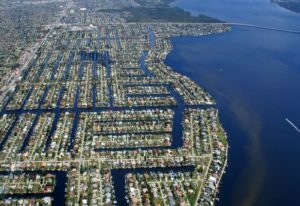 Looking for Furniture Removal, Debris disposal, or Junk Removal in Cape Coral, Fl ? Click here for our full service options! I contacted Tin Tipper and Spoke with Sarah, she knew exactly what size dumpster we would need to rent. The bin was delivered on time and picked up right after I called. Thanks again, we will surely be using your services again! We used Tin Tipper for a demo on our home. The owner delivered the dumpster directly in front of our garage, leaving room for both of our cars. He placed wood planks to prevent any damage to the driveway. The bin was picked up within 6 hours of calling them back. We will highly recommend this company to all of our friends.